We go hands-on with the Fujifilm Instax Square SQ20 - the new hybrid digital and instant camera. 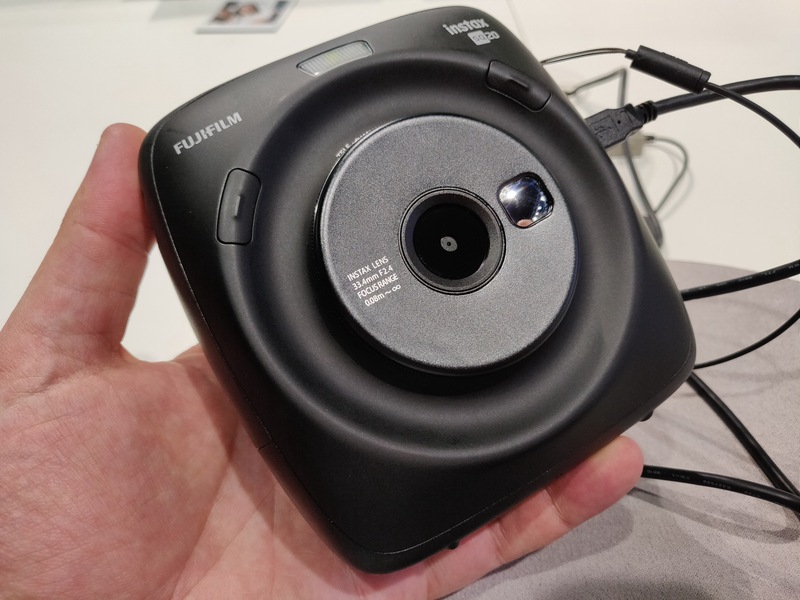 Less serious than the GFX 100, the Fujifilm Instax SQ20 is at Photokina 2018, in Cologne, Germany. So we had a look at the new camera, which was announced just days ago. It features a new motion mode - which can record video and print frames. There are two colours available, black or beige. There's also digital zoom. The SQ20, like the SQ10 before it, uses square Instax film.